Dùng để chỉ hành động xảy ra trong hiện tại hoặc tương lai. >>> Thể bị động S+modal verb + be +P2. EX: I must do this homework. >> This homework must be done. Dùng để chỉ những hành động cần phải làm trong quá khứ hoặc đáng lẽ phải xảy ra nhưng không làm. Hoặc những hành động đoán biết chắc hẳn phải xảy ra trong quá khứ. EX: It's your duty to make tea today. >> You are supposed to make tea today. EX: It's impossible to solve this problem. >> This problem can't be solve. EX: It's necessary for you to type this letter. >> This letter should/ must be typed by you. 4/ Mệnh lệnh thức + Object. >>> bị động: S + should/must + be +P2. EX: Turn on the lights! >> The lights should be turned on. IV/ BỊ ĐỘNG CỦA ĐỘNG TỪ MAKE/ LET. Công thức chủ động : S + make/ let + sb+ Vinf. >>> Bị động: S +be+ made + to + Vinf/let + Vinf. EX: My parent never let me do anything by myself. >> I'm never let to do anything by myself. V/ BỊ ĐỘNG CỦA CẤU TRÚC " NHỜ AI LÀM GÌ". >>>Bị động: S + have/ get + st +done. EX: I have my father repair my bike. >> I have my bike repaired by my father. VI/ BỊ ĐỘNG CỦA ĐỘNG TỪ ĐI SAU NÓ LÀ MỘT ĐỘNG TỪ Ở DẠNG VING. EX: I like you wearing this dress. >> I like this dress being worn by you. 1/ Cấu trúc 1: S + Vp + sb + Ving. EX: Opening the door, we saw her overhearing us. 2/ Cấu trúc 2: S + Vp + sb + V.
EX: I saw him close the door and drive his car away. NOTE: riêng các động từ : feel, find, catch thì chỉ sử dụng công thức 1. EX: He was seen to close the door and drive his car away. 1/ Khi main verb ở thời HIỆN TẠI. People/they + think/say/suppose/believe/consider/report.....+ that + clause. EX: People say that he is a good doctor. >> It's said that he is a good doctor. c/ Động từ trong clause để ở thời QKDG hoặc HTHT. S + am/is/are + thought/ said/ supposed... + to + have + P2. EX: People think he stole my car. >> It's thought he stole my car. He is thought to have stolen my car. 2/ Khi main verb ở thời QUÁ KHỨ. People/they + thought/said/supposed...+ that + clause. a/ It was + thought/ said/ supposed...+ that + clause. S + was/were + thought/ said/ supposed... + to + Vinf. EX: People said that he is a good doctor. >> It was said that he is a good doctor. He was said to be a good doctor. S + was/were + thought/ said/ supposed... + to + have + P2. EX: They thought he was one of famous singers. >> It was thought he was one of famous singers. He was thought to be one of famous singers. IX/ BỊ ĐỘNG CỦA TÁM ĐỘNG TỪ ĐẶC BIỆT. Các động từ : suggest, require, request, order, demand, insist(on), recommend. S + suggest/ recommend/ order/ require... + that + clause. It + was/ will be/ has been/ is... + P2( of 8 verb) + that + st + be + P2. EX: He suggested that she buy a new car. >> It was suggessted that a new car be bought. X/ BỊ ĐỘNG CỦA CẤU TRÚC CHỦ NGỮ GIẢ " IT". It + be + adj + for sb + to do st. It + be + adj + for st + to be done. >> It is difficult for this test to be finished in one hour. XI/ BỊ ĐỘNG TRONG TRƯỜNG HỢP 2 TÂN NGỮ. Trong đó : Oi = Indirect Object. 1/ Oi + be + P2( of V) + Od. 2/ Od + be + P2( of V) + to Oi. 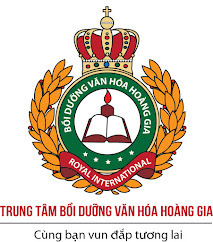 ( riêng động từ " buy" dùng giới từ " for" ). EX: My friend gave me a present on my birthday. >> A present was given to me by my friend on my birthday. I was given a present on my birthday by my friend. I/ Change the following sentences from active into passive form. 1. Somebody has taken my briefcase. 2. The teacher returned our written work to us. 3. She had finished her report by soon. 4. The mad dog bit the little boy. 5. The police have arrested five suspects. 6. The doctor ordered him to take a long rest. 7 lightening struck the house. 8. A group of students have met their friends at the rail way station. 9. They didn’t allow Tom to take these books home. 10. The teacher won’t correct exercises tomorrow. 11. Marry has operated Tom since 10 o’clock. 12. This is the second time they have written to us about this. 13. Mr. Smith has taught us French for two year. 14. They didn’t look after the children properly. 15. Nobody swept this street last week. 16. People drink a great deal of tea in England. 17. People speak English all over the world. 18. Tom was writing two poems. 19. She often takes her dog for a walk. 20. They can’t make tea with cold water. 21. The chief engineer was instructing all the workers of the plan. 22. Somebody has taken some of my book away. 23. They will hold the meeting before the May Day. 24. They have to repair the engine of the car. 25. The boys broke the window and took away some pictures. 26. People spend a lot of money on advertising everyday. 27. They may use this room for the classroom. 28. The teacher is going to tell a story. 29. Marry is cutting the cake with a sharp knife. 30. The children looked at the women with a red hat. 31. She used to pull my hat over my eyes. 32. For the past years, I have done all my washing by hand. 33. A pair of Robins has built a nest in the porch since last week. 34. The police haven’t found the murderer yet. 35. They sold one of her paintings at $1,000. 36. I will put your gloves back in the drawer. 37. People speak English in almost every corner of the world. 38You mustn’t use the machine after 5.30 p.m.
39. Luckily for me, they didn’t call my name. 40. After class, one of the students always erases the chalk board. 41. You must clean the wall before you paint it. 42. They told the new pupil where to sit. 43. I knew that they had told him of the meeting. 44. Nobody has ever treated me with such kindness. 45. No one believes this story. 46. A sudden increase in water pressure may break the dam. 47. We must take good care of books borrowed from the library. 48. A man I know told me about it. 49. We can never find him at home for he is always on the move. 50. They use milk for making butter and cheese. II/ Change the following sentences from active into passive form. II.1 Yes – No questions. 1.Do they teach English here? 2.Will you invite her to your wedding party? 3.Did the teacher give some exercise? 4.Is she going to write a poem? 5.Have they changed the window of the laboratory? 6.Is she making big cake for the party? 7.Has Tom finished the work? 8.Are the police making inquires about the thief? 9.Must we finish the test before ten? 10.Will buses bring the children home? 11. When will you do the work? 12. How many days did she spend finishing the work? 13. How do you spend this amount of money? 14. What books are people reading this year? 15. How did the police find the lost man? 16. Who looked after the children for you? 17. How long have they waited for the doctor? 18. What time can the boys hand in their paper? 19. Why didn’t they help him? 20. Who are they keeping in the kitchen? 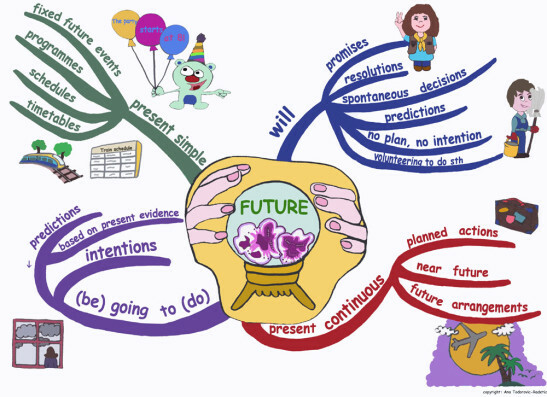 II.3 Sentences with verbs “continue and begin”. 21. We’ll continue to use this computer. 22. They began to plant rubber trees in big plantation. 23. People can continue to enjoy natural resources. 24. People will continue to drink coca – cola in the 21st century. 25. American people began to love football. II.4 Sentences with phrasal verbs. 26. They gave up the research after three hours. 27. Someone should look into the matter. 28. Don’t speak until someone speak to you. 29. A neighbor is looking after the children. 30. Your story brings back pleasant memories. 31. I have heard her sing that song several times. 32. People saw him steal your car. 33. The teacher is watching them work. 34. He won’t let you do that silly thing again. 35. People don’t make the children work hard. 36. They made him work all day. 37. The detective saw the woman putting the jewelry in her bag. 38. The terrorists made the hostages lie down. 39. Police advise drivers to use an alternative route. 40. She helps me do all these difficult exercises. II.6 Sentences with “advise, beg, order, urge, agree, decide...”. 41. She advised me to sell that house. 42. They beg us to help them. 43. He orders us to clean the floor. 44. He recommends me to do the job. 45. She urged him to visit her parents as soon as possible. 47. Take off your hat! 48. Don’t do that silly thing again! 49. Let tell them about it! 51. It is dangerous for us to take the short cut. 52. You need to have you hair cut. 54. John wants someone to take some photographs. 55. We enjoy writing letter. III. Read the sentences then write another sentences with the same meaning. 1.It is believe that the wanted man is living in New York. 2. It is said that many people are homeless after the flood. 3. It is known that the Prime Minister is in favor of the new law. 4. It is expected that the government will lose the election. 5. It is thought that the prisoner escaped climbing over the wall. 6. It is believed that the thieves got in through the kitchen. 7. It is alleged that he drove through the town at 90 miles an hour. 8. It is reported that two people were seriously injured in the accident. 9. It is said that three men were arrested after the explosion. 10. It is said that he is 108 years old. 11. They rumored the man was still living. 12. They declared that she won the competition. 13. People believed that13 is an unlucky number. 14. They saw that John is the brightest student in class. 15. People believed that the earth stood still. VI. Change the following sentences into passive voice (5points). 1. She has to pick fruit very early in the morning. 2. The house was dirty because she hadn’t cleaned it for weeks. 3. She is taking care of the baby girl. 4. Children should treat old men with respect. 5. She was wearing her new T-shirt when I met her yesterday. có key k ad ơi?